This one is huge. Going to take MONTHS to resolve huge. Chances are if you read any Marvel book, you will be drawn into the conflict. More on that in a moment. It’s hard to review this book other than to say it feels… familiar. Basically, anything to do with Thor during Phase One of the MCU is represented here. The Invasion of Earth in Avengers. The war in multiple realms in Thor. Malkeith is here as well (same bad guy from those early MCU stories). It sounds like this is an expanded and abridged story much like those – but in more of a Lord of the Rings sort of way – entirely epic. There was no point where the book felt like it there was too much going on. 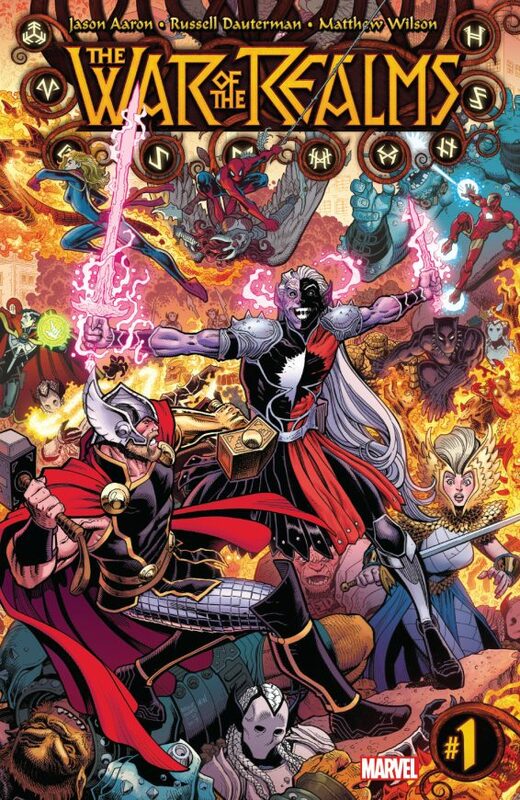 Multiple books in recent weeks have been teasing “Continued in War of the Realms” in their final pages. As a result, there are very few books in the Marvel universe that aren’t touched by the event. Below is the listing of books included in the three-month event. 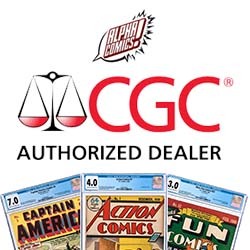 It will be a major undertaking to get all the books so plan with AlphaComics today to get War Of The Realms on your pull list. Act 1: The World At War! Act 2: Reclaim the Realms! Act 3: Midgard’s Last Stand!